Pretty actress Nadia Buari has proved to be force to reckon with in the African movie industry. Her excellent delivery in the new movie heroes and zeroes which is set to hit the Silverbird cinemas in Accra on the 8th of June 2012 is a must watch. Film critic says this is the first time Nadia gives a classic performance of a lifetime in this movie that is touted to be an award winning movie when released. “Heroes and Zeroes” is said to be one of the most anticipated movies of this era in Nollywood, judging by the storyline and the number of seasoned actors and actresses that took part in this one-of-a-kind Nollywood flick. 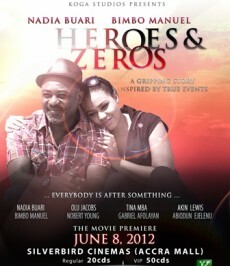 “Heroes and Zeros” is the story of destructive pursuance of Tonia (Nadia Buari) by Amos Fele (Bimbo Manuel). Ten years ago, Amos Fele was a wealthy celebrity director in the Nigerian film industry. Now he lives in a ramshackle flat, doing occasional low-paying TV commercials for nameless products. He’s a daily comic relief on the local soccer practice pitch: although he’s already 45 years old, he nurses a new, insane dream of making it into the dollar-soaked world of international soccer! His joyless marriage to Tinuke (Tina Mba) a junior bank worker, is crumbling fast, especially after the death of their only child. A boost to his sagging spirit comes when a big-budget French-Nigerian film project appoints him as director. Suddenly, the press begins to (re)celebrate him. Top actors and producers begin to call him up. To his wife’s distress, Fele also quickly re-establishes his wane reputation as a first-class womanizer. Fele’s new rise coincides with that of Dibu Ijele (Gabriel Afolayan) a reporter with Naija Scene, a weekly tabloid. The paper’s new board of directors (led by Olu Jacobs), with its eyes on profit, supports Dibu’s theory that the only way to beat the competition is to scoop and sell dirt about anyone with a famous face or name. What becomes of Fele and his come back to wealth and fame? 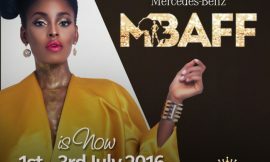 Find out in this suspense filled movie scheduled for the 8th of June 2012 The movie features Bimbo Manuel, one of Nigeria’s A list actor, Nadia Buari, one of Ghana’s best hands in the industry, Olu Jacobs, Tina Mba, Akin Lewis, Norbert Young, Brigette Cherile, Funsho Adeolu, Gabriel Afolayan, Jude Urhorra and many others took part in the movie. 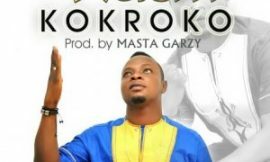 Coming from the stable of entertainment powerhouse, KOGA STUDIOS, the movie was written, produced and directed by prolific filmmaker Niji Akanni, one of the best hands Nigeria has ever produced. 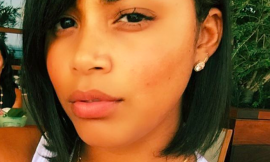 Lauren London Shades Khloe Kardashian?